We are excited that His Eminence the 7th Kyabje Yongzin Ling Rinpoche will visit the Abbey! Rinpoche arrives on Tuesday, September 4 and departs on Thursday, September 6. Rinpoche will give a two-session teaching on Wednesday, September 5 on “A Song of the Four Mindfulnesses” by Kelsang Gyatso, the 7th Dalai Lama. On Thursday, September 6, Rinpoche will speak at North Idaho College in Coeur d’Alene, 12:00-12:50 pm. 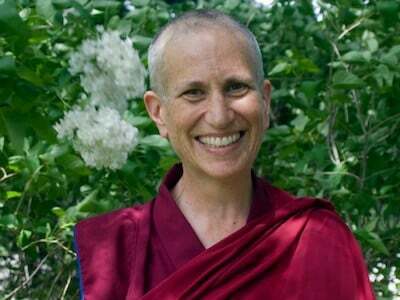 An extraordinary opportunity to meet an extraordinary Lama! Ling Rinpoche’s predecessor, H. E. the 6th Kyabje Yongzin Ling Rinpoche, was the Senior Tutor for His Holiness the 14th Dalai Lama. He was also the preceptor for Ven. Thubten Chodron’s novice ordination in 1977. “Thubten” is his lineage name, which most of the Abbey monastics also carry. H.E. 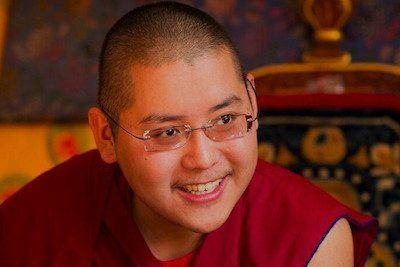 the 7th Ling Rinpoche was born in India in 1985 and recognized as the reincarnation of H.H. the Dalai Lama’s Senior Tutor at 18 months old. Read his biography and details of his discovery here. He was enthroned in 1987 and received his novice ordination from His Holiness in 1993. He also received full monk or bhikshu ordination from His Holiness exactly 50 years after the Dalai Lama had received them from his Senior Tutor, Rinpoche’s predecessor. 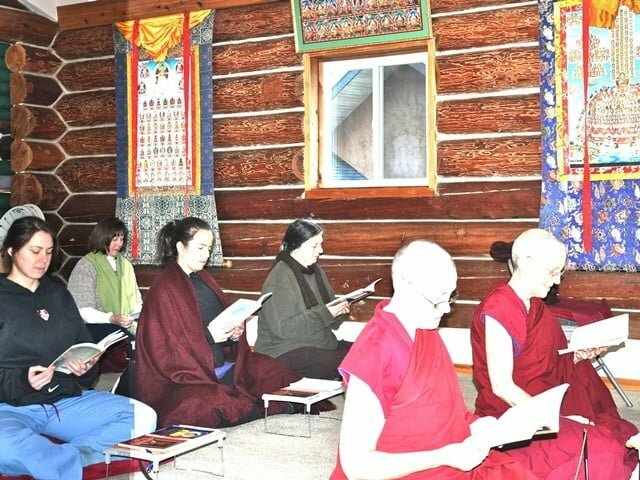 The 7th Ling Rinpoche entered Drepung Monastic University’s Loseling College at the age of five, commenced monastic studies at age 10, and completed his geshe degree in 2016. Rinpoche has taught throughout Asia, Europe, North America, and Israel. He has also been involved in many important Buddhist events, including requesting His Holiness the Dalai Lama’s historic series of Jangchup Lamrim teachings in South India and participating in Mind and Life Institute dialogues between His Holiness and scientists. Don’t miss this rare opportunity to meet H. E. 7th Ling Rinpoche! Come for Rinpoche’s entire visit, September 4- 6. Register using the short form. Come for Rinpoche’s one-day teaching only. Email the office. 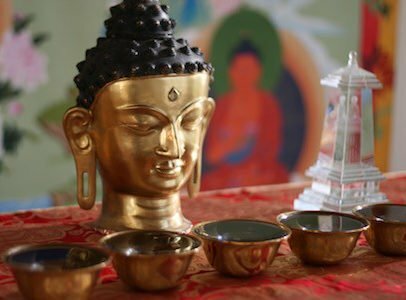 Come for the Labor Day weekend retreat and stay over for Rinpoche’s visit: Register using the long form. Please let us know you’re coming so we can hold your place. Read all about Visiting the Abbey, including Getting Here, and Visiting Guidelines. For more information, write the office or call 509-447-5549. Go here for info on Rinpoche’s lunchtime time talk at North Idaho College on Thursday, September 6.